I quickly found myself lost in a theological debate on the Lordship of Jesus Christ. If I were to ask you if you believed in His Lordship, I believe I would receive an overwhelming affirmation. Yet, if I were to ask each of you “Is He Lord of all you are and all you have?” your answer would probably contradict the first answer. 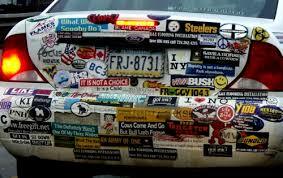 It’s easy to put on a bumper sticker saying Jesus is Lord, another thing to proclaim His Lordship with our lips and our lives. 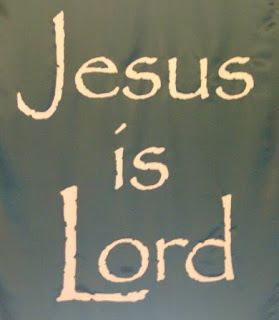 Most of us are so inundated with the saying: “Jesus is Lord” that perhaps we have never stopped to ponder what it means. 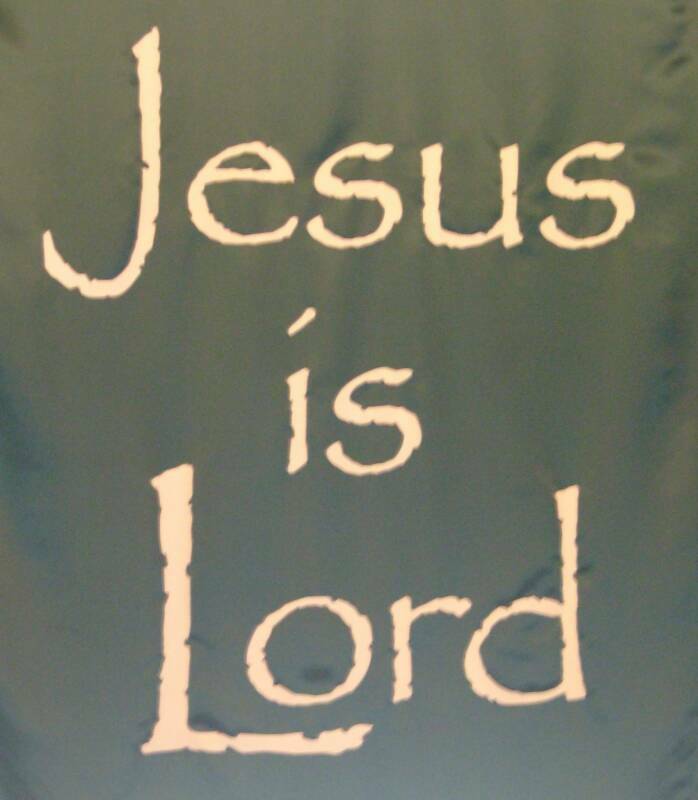 When a Jewish convert said “Jesus is Lord” he meant: Jesus is God. 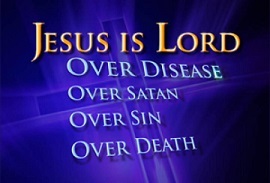 When a Gentile believer said “Jesus is Lord” he meant: I have no other god besides Jesus. When the church started out in the first century, Christians made a clean break with the rest of the world. They were willing to follow their Lord Jesus Christ no matter what the cost was. Their proclaiming Jesus as Lord cost many of them their very lives because it meant they rejected all allegiance to Caesar. Soon, gentiles flocked into the church and brought with them their practices, their sins, and their idols. So, the church lowered the standard to accommodate them. And the church has never fully recovered from this mistake. Today, too many church members serve two lords. Churches are filled with baptized pagans living double lives. They say that they fear the Lord; all the while serving their own gods. They draw near to Him with their mouths and honor Him with their lips, while their hearts are still far from Him. Calling Him Lord, while not doing what He has said to do. We are called to not only worship Him on Sunday but also to serve Him all week long. 1 Corinthians 12:3 Therefore I make known to you that no one speaking by the Spirit of God calls Jesus accursed: and no one can say that Jesus is the Lord, but by the Holy Spirit. Our old nature will simply never bow down to the Lordship of Jesus Christ. Today we explain to a convert the difference between: Trusting Christ as Savior and confessing Jesus as Lord…when they are actually one experience. What we are actually saying is: “Yes, I accept Him...” Simply to escape hell and make it to heaven…while seeming unconcerned about proclaiming Him Lord of their lives. Salvation is not the same as going to Old Country Buffet where you take salvation and pass up on His Lordship. I think that some treat salvation as though they will “try it out” on some kind of trial plan; and if it doesn’t work out then they try something else. Yes, I understand that none of us fully understands all that is involved at conversion; we are still learning. But, I need to be really blunt with you: No one can willfully and knowingly take Christ as Savior and reject Him as Lord and be saved. Master (Lord) Mediator (Jesus) and Messiah (Christ)? We do have a choice; we can receive the Lord or reject Him. But, once we receive Him, our option ends. We are no longer our own master because we have been bought with a price. We belong to the Lord Jesus Christ. He has the first word and the last. He has the right to demand absolute loyalty even greater than any earthly dictator. He alone has a right to do it because He alone not only made us, but also paid for our redemption by His death, burial and resurrection; HIS VERY LIFE WAS GIVEN FOR US! He already has told us! His Word is final and we belong to Him. And yet, still we find ourselves talking like that. One of the problems with not coming under His Lordship is that we honestly don’t understand what that means, so it doesn’t seem like any big thing. I understand that we want to understand before do something, yet how many fully understood electricity before you used it? When you gave your life to Jesus Christ, YOU came under new management. 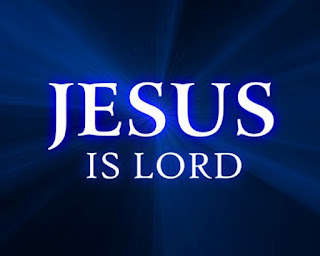 You from that point on belonged to Jesus Christ and He was and is Lord of your life. 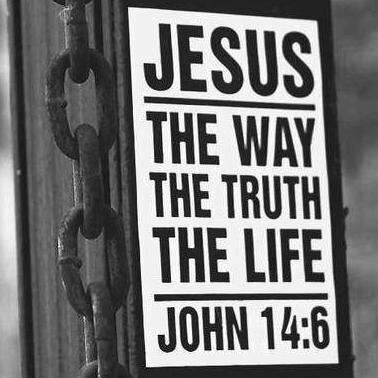 The sad state of much of the Christian church today is that there is no real confession of Jesus Christ as Lord; which is strange because the word ‘savior’ is in the New Testament 25 times, while the word “LORD” is found 682 times. Christian = a believer, a disciple, and a witness. We come to Him as a believer, and follow Him as a disciple. Some take a stand for the Lord and keep standing. Some take a step but not a walk. We must be born-again and then go on to become disciples and witnesses. Yes, salvation is a free gift available to anyone who asks. But, it was not without a price: It cost God His Son and the Son His life. However, when we become believers we become disciples and that will cost us everything we have. Our Lord Jesus Christ is after disciples, not merely card-carrying-pew-sitters. Americans are great ones to join things. 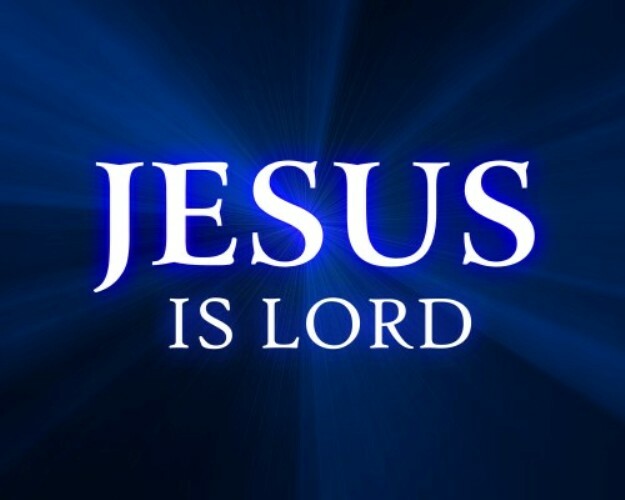 Jesus is not just Savior of the soul, He is Lord of the life. His Lordship is over all the earth. The question is not whether or not you will confess Him as Lord; Philippians 2 tells us that one day EVERY knee will bow and EVERY tongue confess Jesus Christ as LORD. But when will you confess Him as Lord? Will you do it now while you can still live for Him or when it will be too late? Is He Lord of your body? Is He Lord of your thoughts? Is He Lord of your tongue? Is He Lord of your temper? Is He Lord of your free time? Is He Lord of your relationships? Is He Lord of your past, good times and bad? Is He Lord of your future plans? Is He Lord of your money? Is He Lord of your church life? Is He Lord of your recreation? Is He Lord of what you watch on television? Is He Lord of what you listen to in regards to music? His Lordship covers everything from eating and drinking to all of our daily affairs in this world. The heart of revival is making Jesus Lord, proclaiming His Lordship...Have YOU done that? Labels: hope, Jehovah, Jesus is LORD, joy, rapture, resurrection, risk your heart, starting over, Tom and Cathy Oestreich, Unpardonable Sin, walk-ins welcome, What's the Plan Phil?